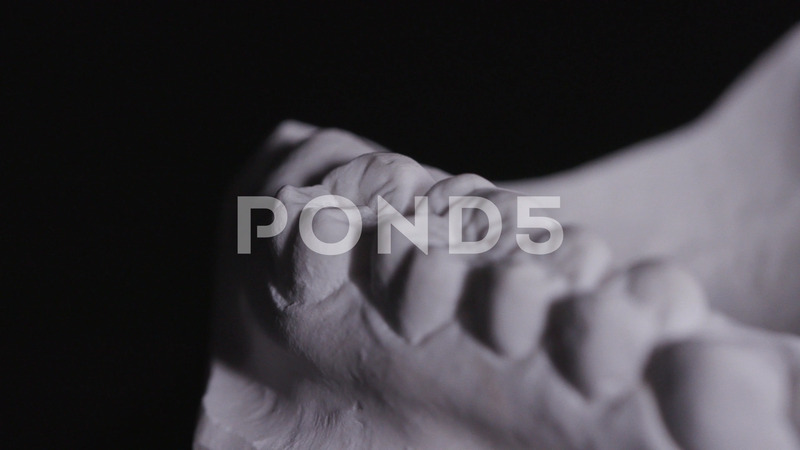 Gypsum Dentures Model Spining In Black Studio Atmospehre. Close Up Shot. Description: Gypsum dentures model spining in black studio atmospehre. Close up shot.